My mum makes excellent marmalade, marmalade so good even Paddington Bear would be licking his little furry lips 🙂 Soooo as it’s mother’s day weekend and in honour of my amazing Mum and her expert culinary skills I’ve decided to use her yummy marmalade and make a marmalade loaf! This is dairy-free and low-gluten. 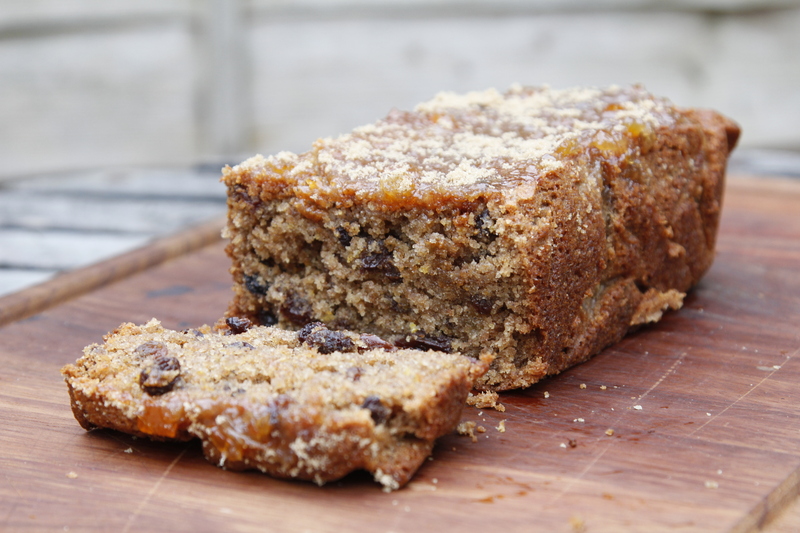 The oil makes it super moist and the tanginess of the marmalade really goes well with the sticky sweetness of the loaf. 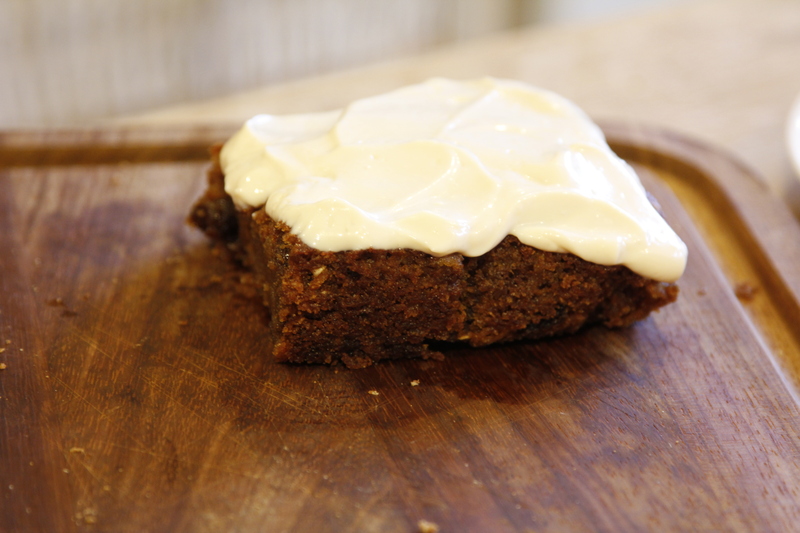 If you liked my scrumptious carrot cake or Banana bread you will definitely like this 🙂 If you find marmalade a bit too bitter for your liking, just up the amount of icing sugar in the glaze, or use a different preserve for the glaze. Pre-heat oven to 150 – 160C. Line a loaf tin with greaseproof paper. Put the flour, baking powder and bicarbonate of soda, ground allspice, caster sugar, orange and lemon zest and dried fruit into a bowl with a pinch of salt and mix together. Put the oil and 2 tbsp of the marmalade in a pan and heat very gently to soften the marmalade. Don’t let the mixture get too hot. Once the marmalade has melted stir in the milk (it won’t combine properly but just give it a good mix). Pour all this into the flour mixture, add the white wine vinegar and mix well. Pour the batter into the loaf tin and place in the oven for an hour, or until a skewer inserted in the middle comes out clean. While the loaf is cooking you can make the glaze. Add 3 tbsps marmalade and 2 tbsp water to a pan. Heat gently and add the icing sugar. Stir and continue to warm gently until it’s bubbling and syrupy. You may need to add more icing sugar to taste and to ensure it goes sticky. Whilst warm it will be runny though so allow to cool slightly if unsure. You can always reheat to make it liquid again. Preheat the oven to 160 C / gas 4. 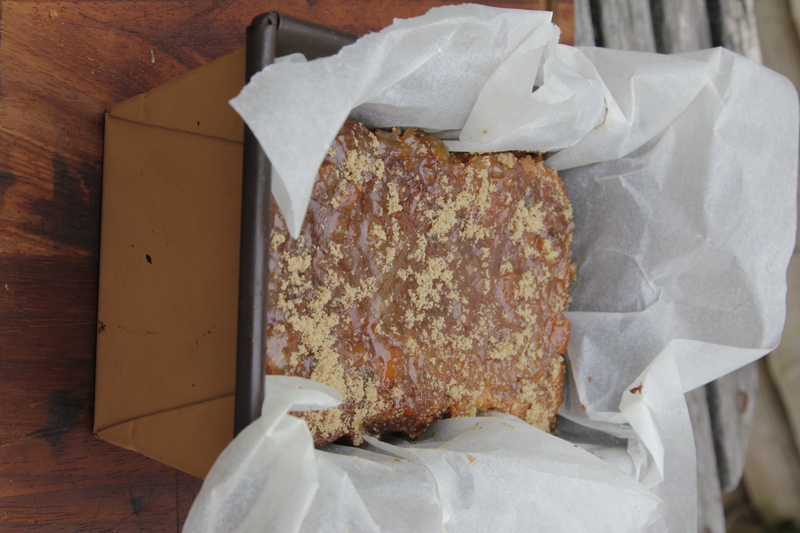 Line an 18cm square cake tin with baking parchment and lightly oil with almond oil. Put the sugar, oil and apple puree into a large mixing bowl and mix gently with a wooden spoon. Stir in the grated carrots, raisins and orange zest. Sift the flour, bicarbonate of soda, baking powder and spices into the bowl and gently mix all the ingredients together. The mixture will be fairly runny. Pour this into the tin and bake for 40 – 45 mins, until it feels firm and springs back when you press it in the middle, and a skewer inserted in the middle comes out clean. Cool in the tin for 5 mins then turn it out and cool on a rack. This cake can be frozen at his point, or go on and frost it and eat it now!